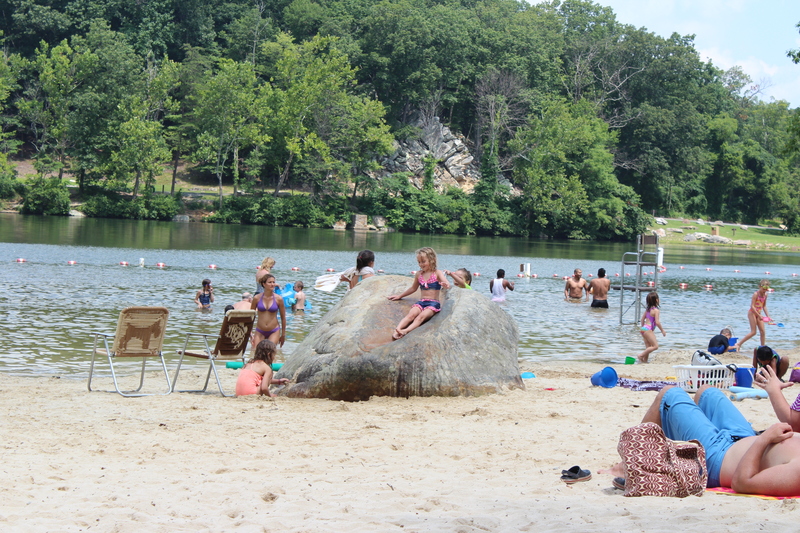 We spent a very leisurely Sunday morning down by the lake at Cacapon State Park. 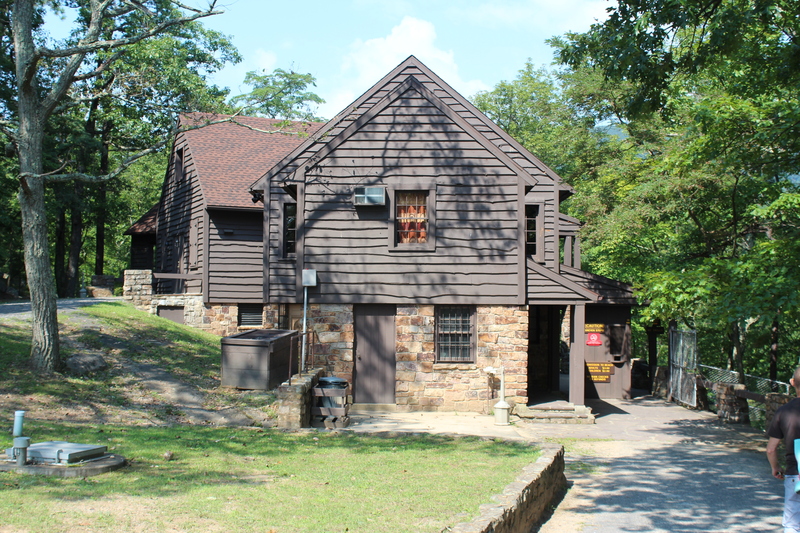 Just over the border in West Virginia, Cacapon is chock full of outdoorsy things to do – golf, hiking, swimming, boating, fishing and horseback riding are all on offer. 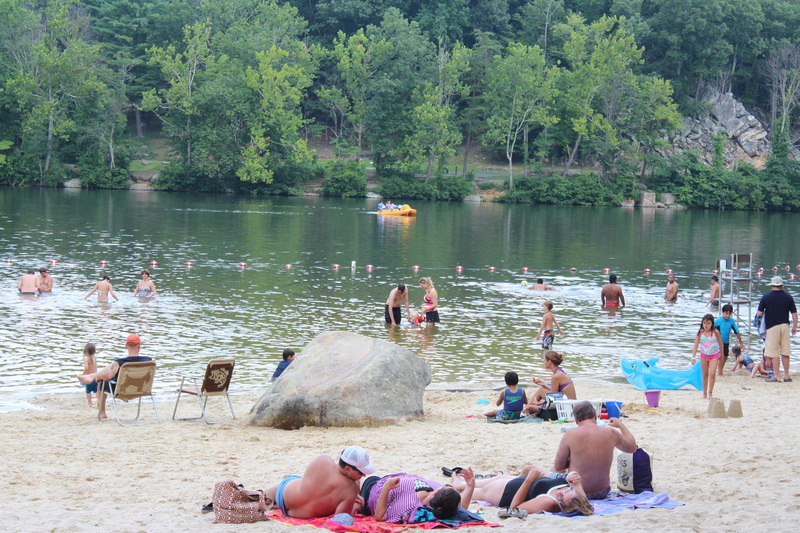 The lakefront at Cacapon State Park. We made our first visit here over a year ago, when we were on our house and school finding mission to Winchester. 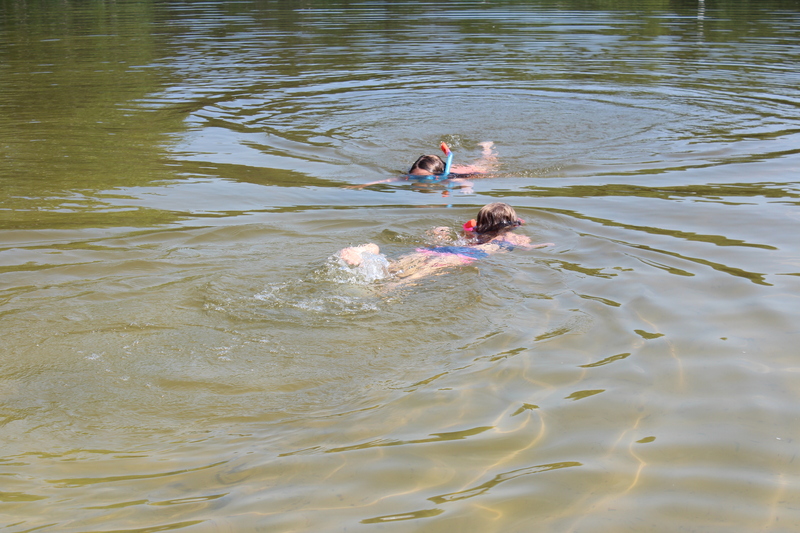 We loved the atmosphere and the calm, shallow water was just right for the girls to play safely in. 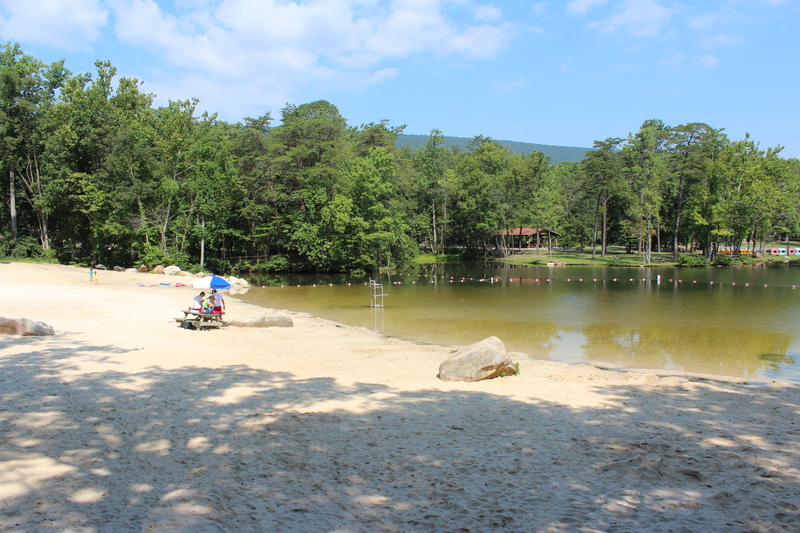 You can bring a picnic or take advantage of the little snack bar down near the water. Finding a good beach spot. 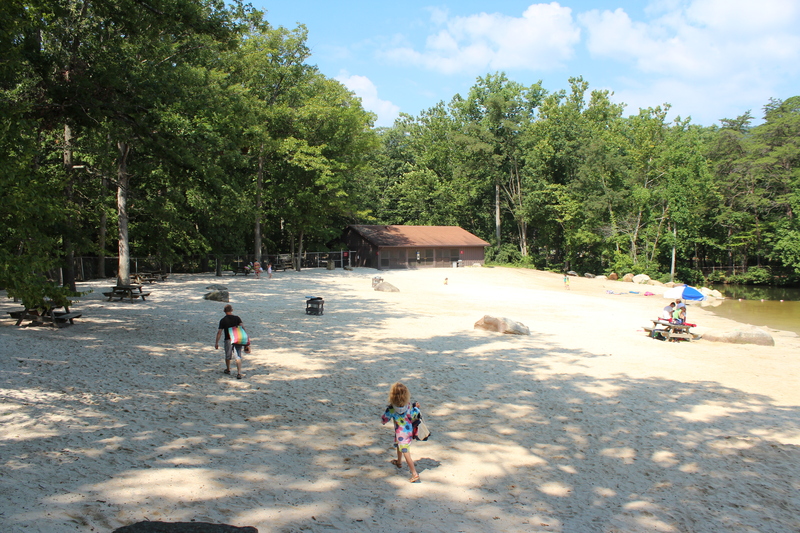 What I really like about this place is how much it reminds me of those classic American summer camps you used to read about or see on tv shows or movies. You expect to be raided by the boys camp on the other side of the water or see a bunch of campers glide past in their canoe – it’s all very Moonrise Kingdom. 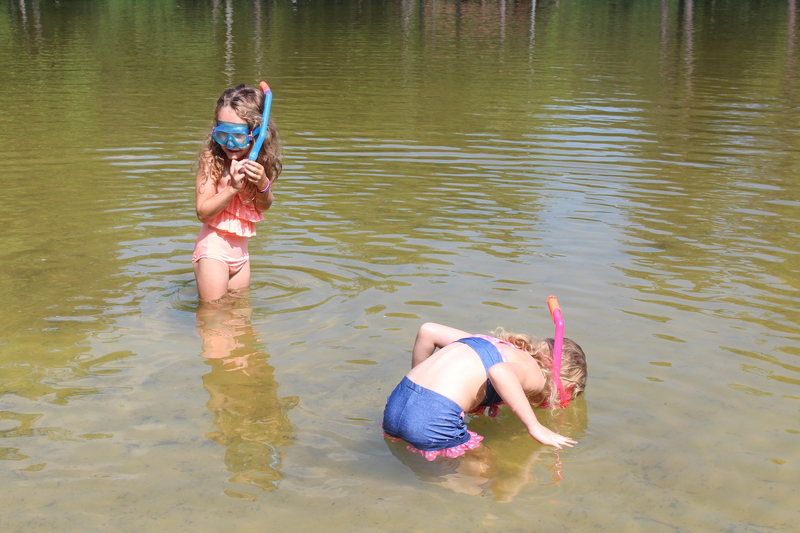 The girls splashed about in the water, mastered their snorkels and made some friends with other beach goers. Richard and I were able to have some uninterrupted conversation and I even managed to finish my book – bliss. 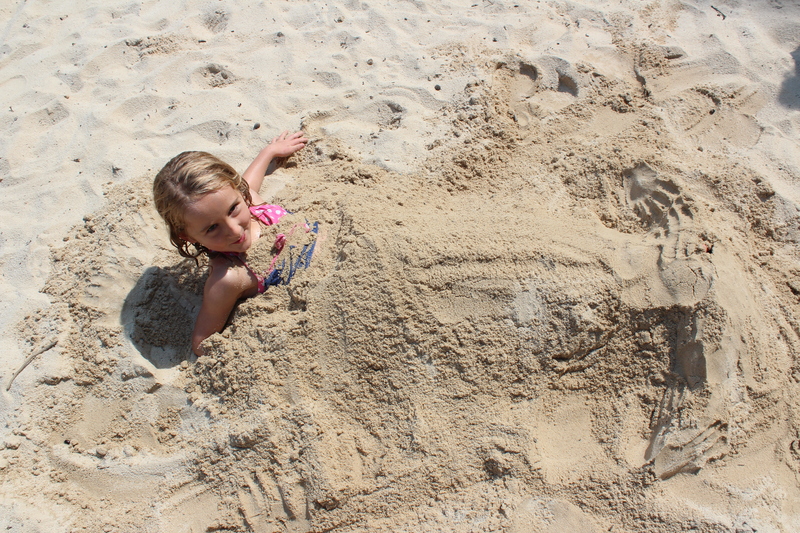 You might just need to get a bit more of your body in the water Edie! 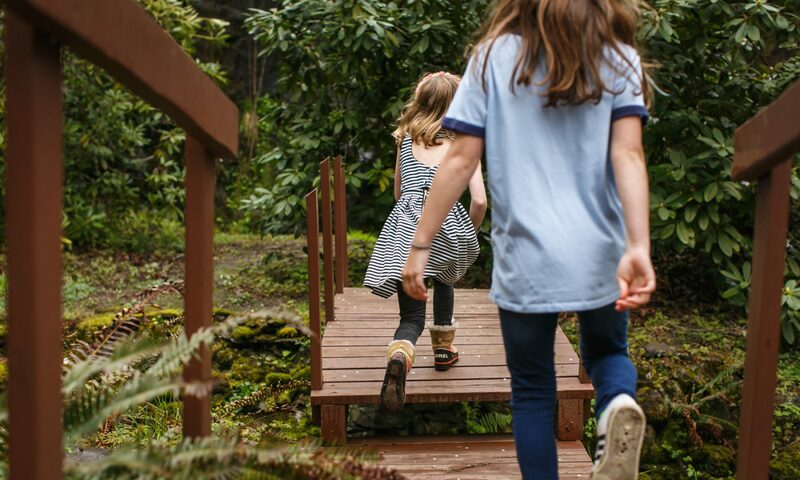 Richard is away all next week so we’re hoping to have a little getaway this weekend before the school routine kicks in…only seven more sleeps!! Looks heavenly…always great to find a spot the whole family can enjoy! Very summer camp..can you rent the cabins? Good luck with the new school year! Hey Saz – yes you can book cabins – we tried to get one for this coming weekend but all booked up unfortunately. Will just have to find some other wee place to explore. Next PostNext A side trip to Sperryville.